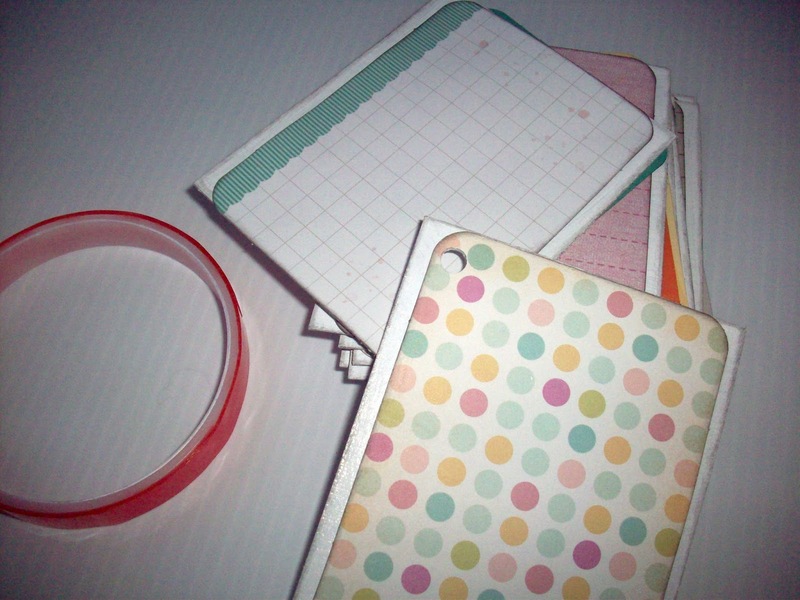 I am a list maker – If I don’t write something down I usually forget. One thing I am really bad at is remembering birthdays. The only birthdays I have memorized are my kids, parents and siblings. I am forgetful of the birth dates of my nieces, nephews, friends and cousins. I like to wish a Happy Birthday to my friends and family and hate it when I forget. 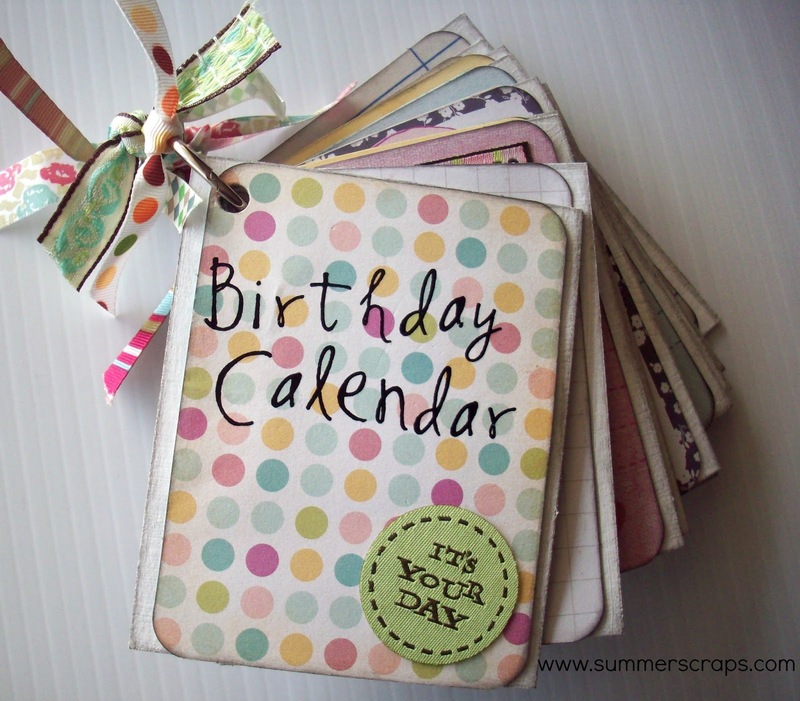 So I thought making a Birthday Calendar Mini book would help me – plus it is super cute! I have been planning on making this for awhile now and when I was introduced to Project Life I knew that was exactly what I wanted to use for this project. I chose the Dear Lizzy 5th & Frolic Project Life Core Kit because I just love the colors, phrases and overall look of the paper line. 5th and Frolic Core Kit features an array of light blues, pinks, greens, yellows and airy neutrals. The fun icons include birds, trees, foxes, houses, keys and clipboards – plus it has a distressed fell (which I love). Isn’t it lovely! I knew this would be perfect for my Birthday Calendar! First let me tell you a bit about Project Life. The reason I love Project Life is because it is super simple to use. 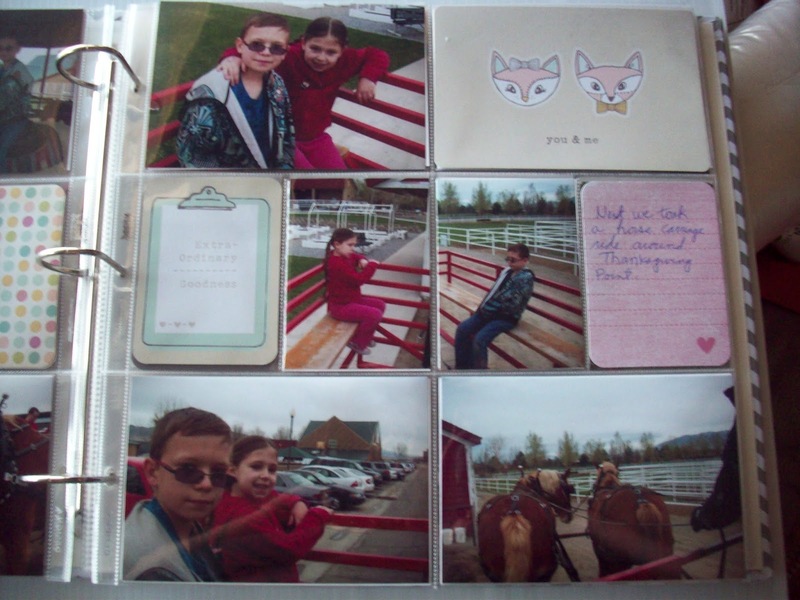 You really don’t need all the extra scrapbook tools – no special scissors, glue etc. When I want to get some pages done fast I usually only need my paper cutter (if I want to cut some pictures down to size). Sometimes I feel overwhelmed with all of the pictures I need to scrapbook – and Yes I do still love to spend hours on a scrapbook page for that perfect picture. 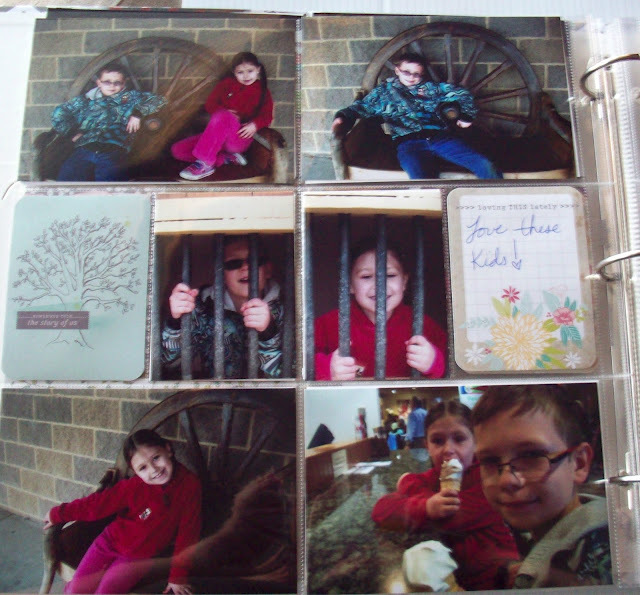 But there are times I have a ton of pictures of one event (you know the 100 pictures you may have from a trip to the zoo) and I want to get them all into the book – and spending hours on pages just seems so overwhelming. Project Life is PERFECT for this!!! I love this back-to-basics approach that I can use – plus I love how it looks! Okay now let me show you how I made my Birthday Calendar! Please note I have linked some of the below products to Amazon if you are looking where to find the product. The links are affiliate links. I already had some chipboard left over from another project. 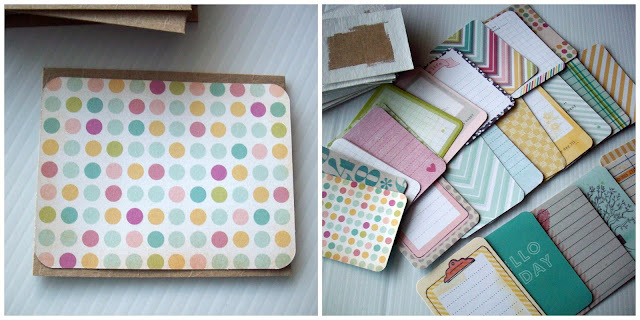 These pieces of chipboard are 4″ tall and a little under 3 1/2 ” wide. You will need 13 of these. 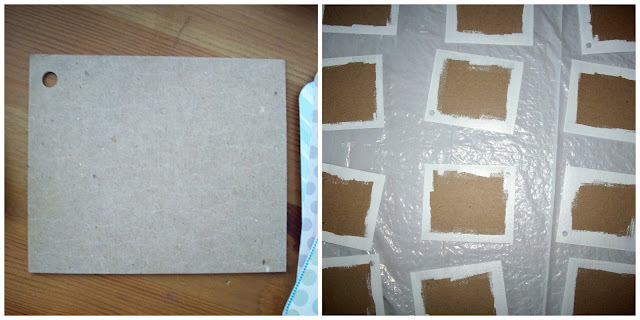 Punch a hole in the upper left corner of each chipboard piece. Make sure the hole is in the same spot on each piece so they line up nicely. Paint the edges white and let dry. 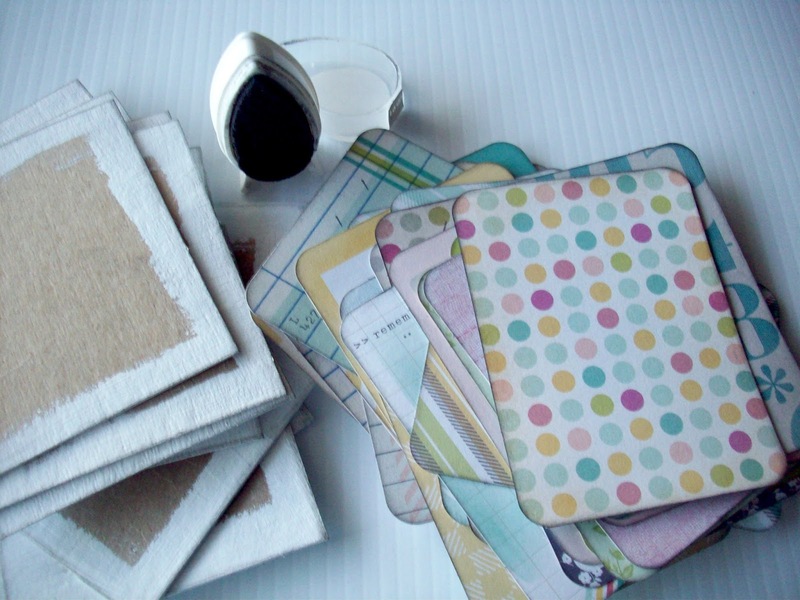 Now from your Project Life kit pick out 26 of the small papers – they measure 4″ x 3″. This size is perfect so you won’t need to do any cutting. Now tape your first paper on the first chipboard piece. Before you tape the second paper on the back be sure to use the hole punch to punch a hole in the paper. Now put your back piece on and punch your hole. Repeat until all of the papers are on your chipboard. Isn’t this cute??!! I think this would make a great gift or you can keep for yourself. Now all you need to do is write in the birth dates for each month! If you are wondering where you can get some Project Life core kits, albums and page protectors? Michael’s carries one of the largest selections of Project Life – including two exclusive core kits and several exclusive albums. I just love the Dear Lizzy 5th & Frolic Kit that I used for my Birthday Calendar. I also want to get the Vintage Travel Core Kit for all the pics I have of my boys, our camping trips, etc. This kit has deep blues, reds, browns and a variety of darker neutrals. The icons in this kit includes trains, airplanes and maps. 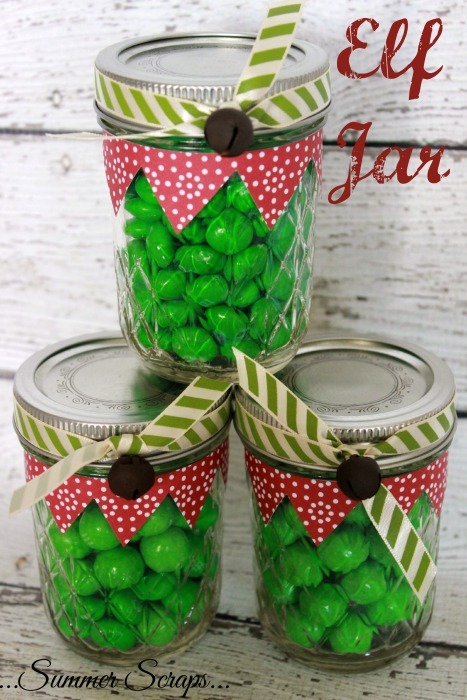 « Fab Friday Link Up Party plus Craft Stash Giveaway! Such a cute project! I love the Core Kit! Thanks so much Tara – it is such a fun kit! Oh my gosh, that’s adorable! You. are. brilliant. Absolutely adorable! I LOVE this. I think this would be a great Christmas present. Great idea. Oh my goodness. This is sooo adorable. I need to check out Project Life! Such a fun & adorable idea!! 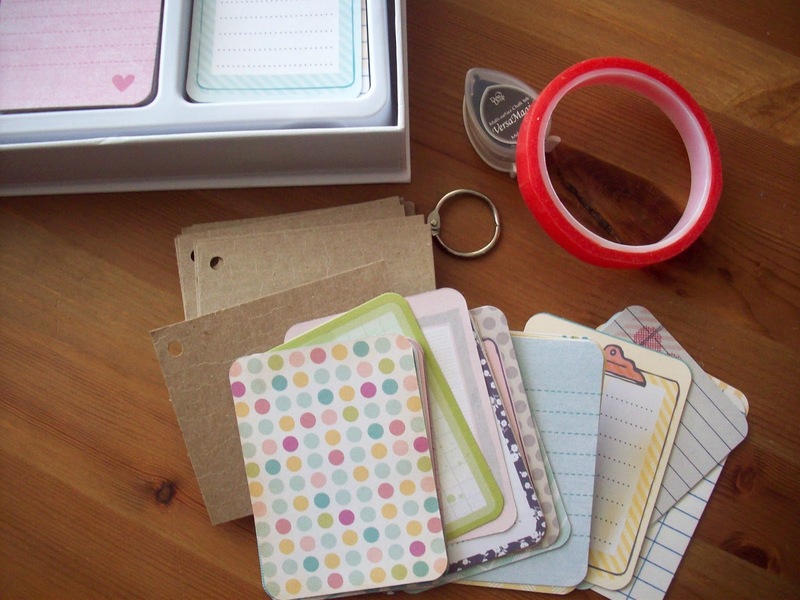 I love this idea and that all the cards/pretty designs are premade! I’m going to have to check Project Life out! What a fun idea :)!! I love that it comes as a kit for you to just put it together! Easy and simple! looks adorable too! Thanks for all of the nice comments everyone! 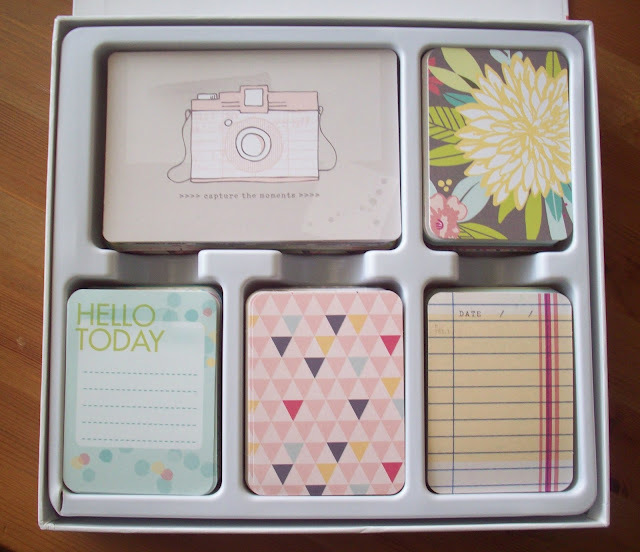 That is really pretty and so handy I’m hopeless at remembering things, pinned it! This is so pretty! I’m so bad at remembering birthdays so this is such a great idea! This is such a pretty DIY-I could certainly use something like this! What a cute thing! 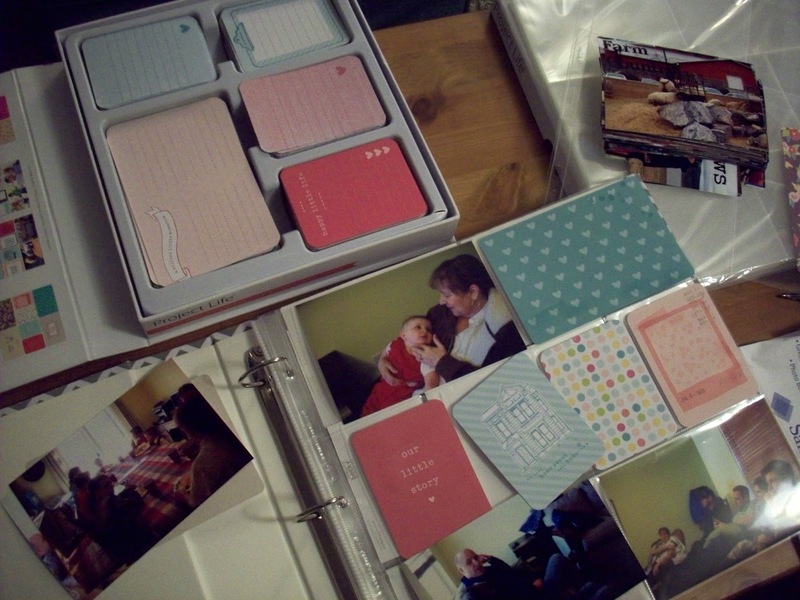 It would be perfect for non-scrapbookers like me. Oh My!! This is such a FABULOUS idea! I love the soft colors of the 5th & Frolic kit I really need to open and use mine now! I really like your birthday calendar! It came out awesome! I like that a lot, very nice! I would like to try out this kit! Love how your calendar came out! So cute, this would be a great gift if it doesn’t turn out so cute I can’t bear to part with it! I made several – one fo me and a then some for gifts. Very cute idea! So crafty… and functional! Thanks for sharing on the #ShareTheWealthSunday link up! That’s such a cute calendar! What a delightful project – thanks for sharing your creativity at Inspire Me Monday at Create With Joy! Lorelai @ Life With Lorelai recently posted…Kids, Summer, YIKES!